Savor each stitch! Slow down and enjoy learning hand applique with this beautiful and versatile design. We’ll learn a few different techniques for making hand appliqued squircles and explore how color, scale, and texture impact your project. This class is based on the book, Savor Each Stitch: Studio Quilting with Mindful Design by Carolyn Friedlander. 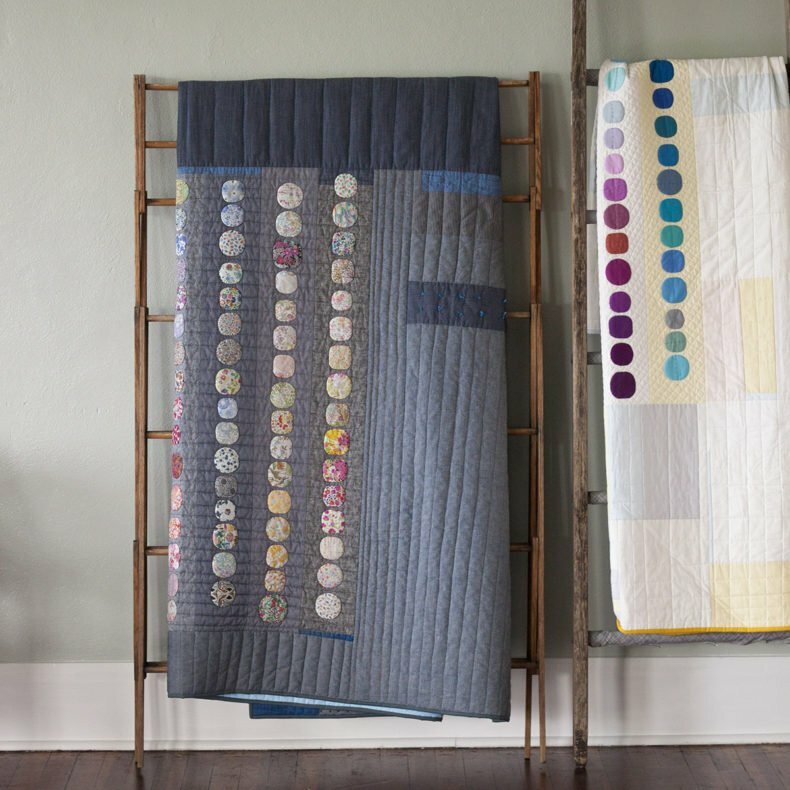 You can choose to work toward a table runner, wall hanging, or larger quilt. Prerequisites: This class is beginner friendly! No prior sewing experience is necessary. squircle fabrics in assorted colors/prints (16-2 1/2" squares for table runner; 80-2 1/2" squares for other project sizes) - mini charm packs are great for this! Joey's passion has been quilting for the past twenty years – she's pretty sure she was born in a pile of Fat Quarters! 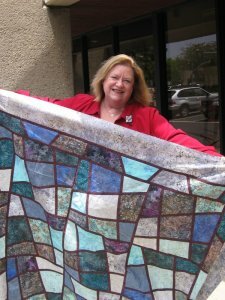 She started teaching 15 years ago in the Newbury Park Senior Center and found it incredibly rewarding, Her favorite classes to teach are patchwork both by hand and machine, hand and machine applique, and machine quilting. She has even taught fabric painting and how to use fabric to create beautiful art quilts. She appreciates all types of quilting, including traditional and modern. She loves contemporary fabrics and aspires to a modern approach to quilting – Joey is always open to new techniques and tools! All classes at superbuzzy require prepayment and registration. In some cases, we are able to accept enrollments on the day of class. All classes begin and end on time; please plan accordingly to get to class on time so that everyone can get started together and right on time! We know... life happens! Cancellations received 5 days prior to the first meeting are eligible for a credit toward a future class. Cancellations received less than 5 days prior to the first meeting forfeit their registration fee. We recommend you find an awesome buddy to take over your seat! Classes are subject to change or cancellation due to low enrollment.